In the 1950s, reports of a strange phenomenon occurring in Presidio County began to attract a lot of attention. Strange balls of various colored light appeared at night—sometimes moving erratically or hovering completely still in the air. Witnesses have often reported that these balls of light appear in pairs or even larger numbers and can be seen ranging from a matter of seconds to hours before finally disappearing. The Marfa Lights, also known as the Marfa Ghost Lights, have never appeared in the daytime and seem to be a strictly nocturnal phenomenon. No clear explanation has ever been provided, but many believe the lights to be a manifestation of spirit activity and contend that they are indeed a paranormal occurrence. Skeptics often attribute the phenomenon to passing vehicles or lights from nearby homesteads or changes in atmospheric conditions, but the strange and unpredictable pattern of movements make it difficult to say one way or another. The lights appear randomly in the nighttime hours, and they occur year-round. They are not easily approached, however, as they appear above private property. They are often seen at varying distances and have been captured over the years in both still photography and video footage. Some visitors contend that upon witnessing the Marfa Lights, they have had profoundly personal spiritual experiences and do not believe they should simply be dismissed as a scientific mystery. 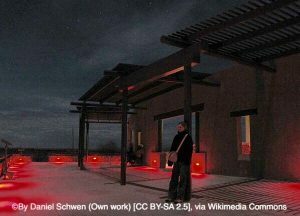 Whatever the explanation may be behind the Marfa Lights, they continue to attract curious onlookers and visitors from all over the state of Texas. A fascinating display of color and movement, the Marfa Lights may indeed be something purely environmental, but what if they’re not? Perhaps the ghosts of Presidio County often gather together in an attempt to make themselves known in the late-night hours. We may never know what the lights truly are, but as long as they continue to appear we are sure to be continually mystified by them. 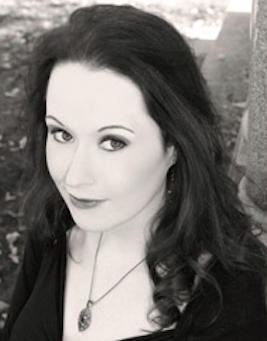 April Slaughter explores more scary tales from the Lone Star State in her book Ghosthunting Texas. Join her from the safety of your armchair, or hit the road using the travel guide and her ghostly resources.